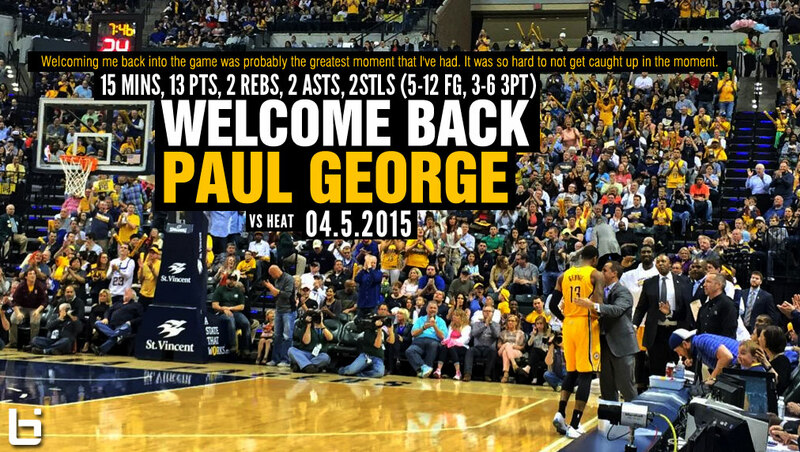 8 months after breaking his leg during a Team USA scrimmage, Paul George made his return and entered the game with 5 minutes left in the first quarter as fans stood up and gave him a standing ovation while waving “Welcome Back PG” signs. “Everything that I expected. Welcoming me back into the game was probably the greatest moment that I’ve had. It was so hard to not get caught up in the moment.” said an emotional Paul George who scored 13 points in 15 minutes in a win against the Miami Heat.